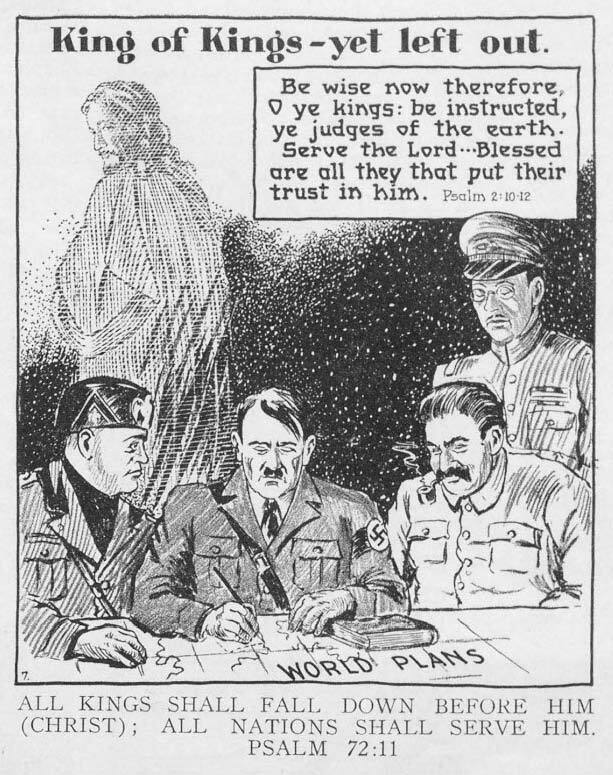 Cartoon published in the Pentecostal Evangel, June 29, 1940. The article noted that the Fascist and Nazi parties arose in a mere eight years in Italy and Germany due to economic distress. How did this happen? People who called themselves Christians accepted an “idolatrous nationalism” in which faith in human progress replaced the idea that truth resided in scripture and natural law. Read the article on the Flower Pentecostal Heritage Center website: “State Religions,” Latter Rain Evangel, May 1933, pp. 17-18.